On November 6, 2018, Michigan voters approved Proposal 1, creating the Michigan Regulation and Taxation of Marihuana Act (MRTMA). Among other things, this Act delegates responsibility for marijuana licensing, regulation and enforcement to the Michigan Department of Regulatory Affairs (LARA). LARA’s Bureau of Marijuana Regulation (BMR) is responsible for the oversight of medical and adult-use (recreational) Marijuana in Michigan. 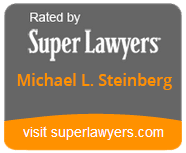 Moreover, if you or someone you know as been arrested for a Marijuana offense in Michigan; is imperative that you seek legal counsel from an experienced Michigan criminal defense lawyer immediately.